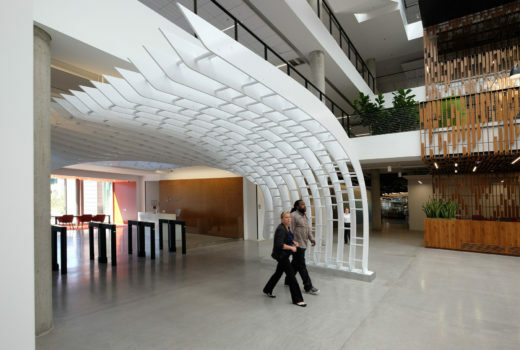 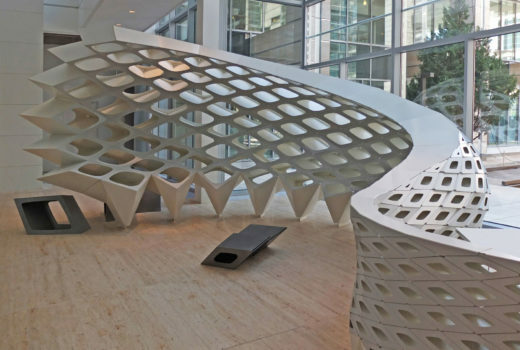 The Mobius Cloud sculpture created for RealD—a technology company developing software for the 3D movie experience— visually references analog filmstrips. 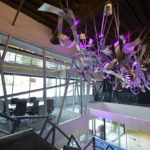 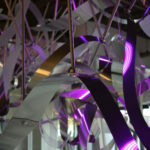 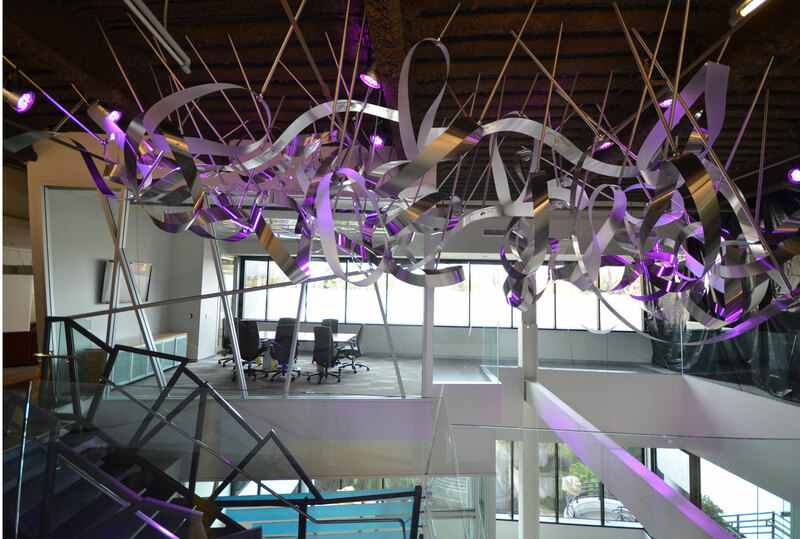 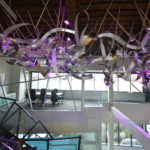 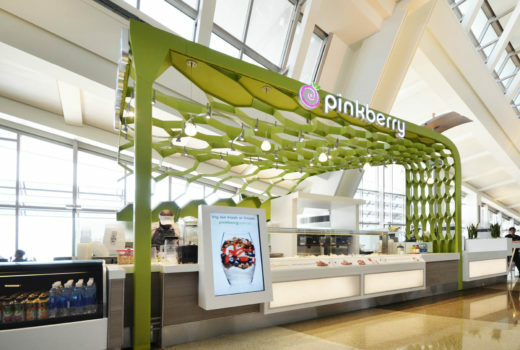 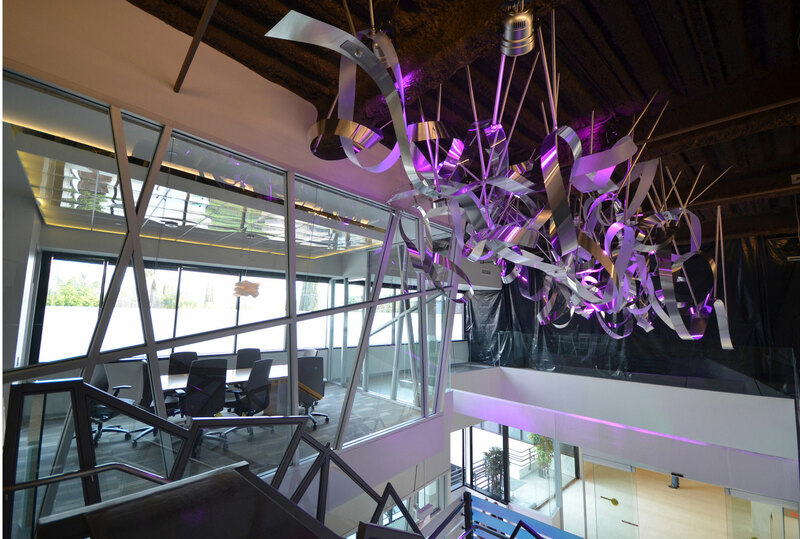 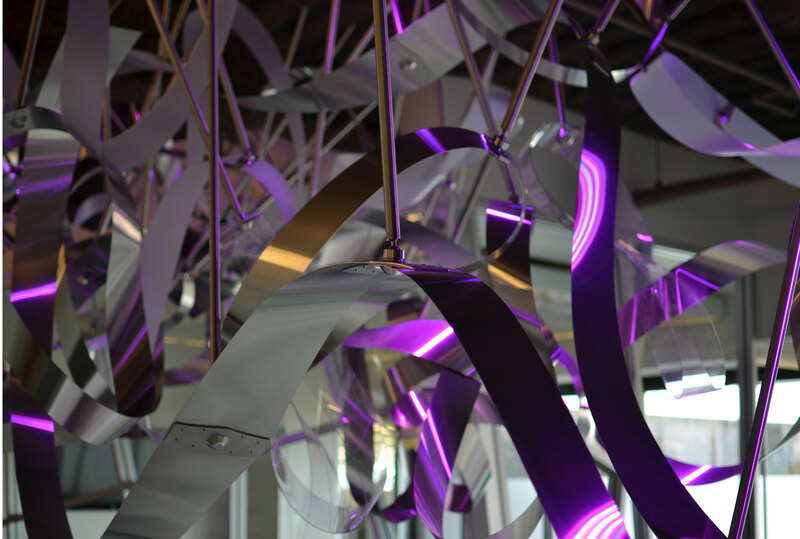 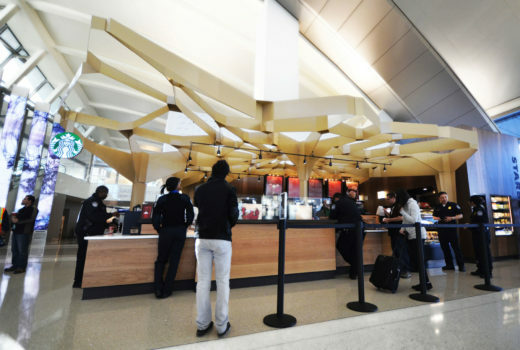 The sculpture as a whole comprises Mobius strips of stainless steel, clear PETG and frosted PETG, bringing the visual impact that RealD strives for into their physical workspace. 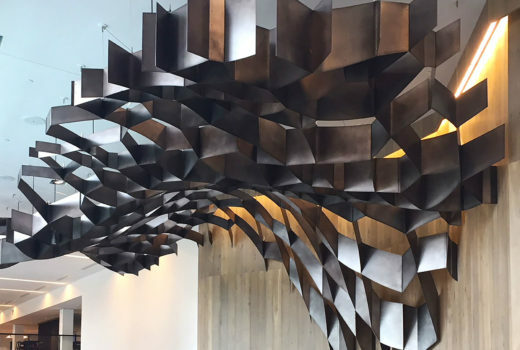 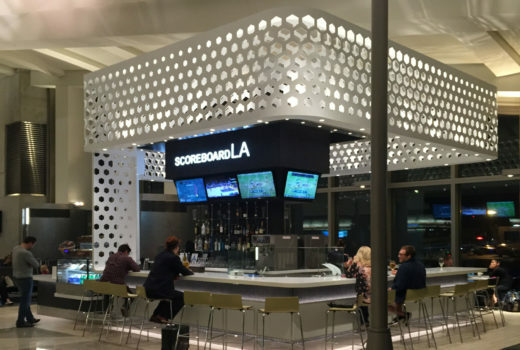 The Solutions Studio worked with Wolcott Architecture | Interiors to realize the visual complexity of their design by radically simplifying its structure. 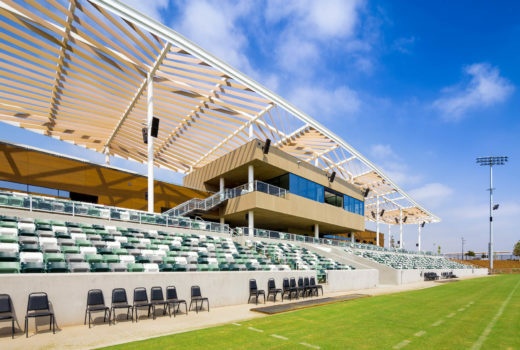 Arktura also designed and fabricated custom attachment brackets to accommodate the unique angles and hang points of the strips.